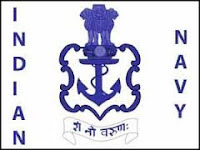 Indian Navy invite aspirant candidates for post of Indian Navy SSC Officer in NAI Cader. Eligible candidate can read instruction well and online apply on www.joinindiannavy.gov.in. We also provide a direct link for online application. Online Applications are invited from unmarried men women Indian citizens for Short Service Commission (SSC) Officers in the Naval Armament Inspection Cadre of the Indian Navy for Course commencing January 2018 at Indian Naval Academy (INA) (NAVAC) Ezhimala, Kerala. Indian Navy published advertisement for recruit SSC Officer in NAI Cader for the course commencing Jan 2018 at INA. Unmarried Indian citizen can apply for this post. Candidates who have essential qualification they can apply online from 8th April 2017 to 27th April 2017 on official website www.joinindiannavy.gov.in. The Indian Navy is the naval branch of the Indian Armed Forces. The President of India serves as Supreme Commander of the Indian Navy. The Chief of Naval Staff, usually a four-star officer in the rank of Admiral, commands the navy. The Indian Navy is the fifth largest in the world. It played an important role in India’s victory in the 1971 Indo-Pakistani War. The primary objective of the navy is to secure the nation’s maritime borders. Navy also work for enhance its international relations through joint exercises, port visits and humanitarian missions, including disaster relief. The Royal Indian Navy was renamed to Indian Navy When India became a republic in 1950. Qualification : B.E. / B.Tech. in Mechanical / Electrical/ Electronics/ Production / Instrumentation / IT / Chemical / Metallurgy / Aerospace Engineering. Final Year candidate can also apply.